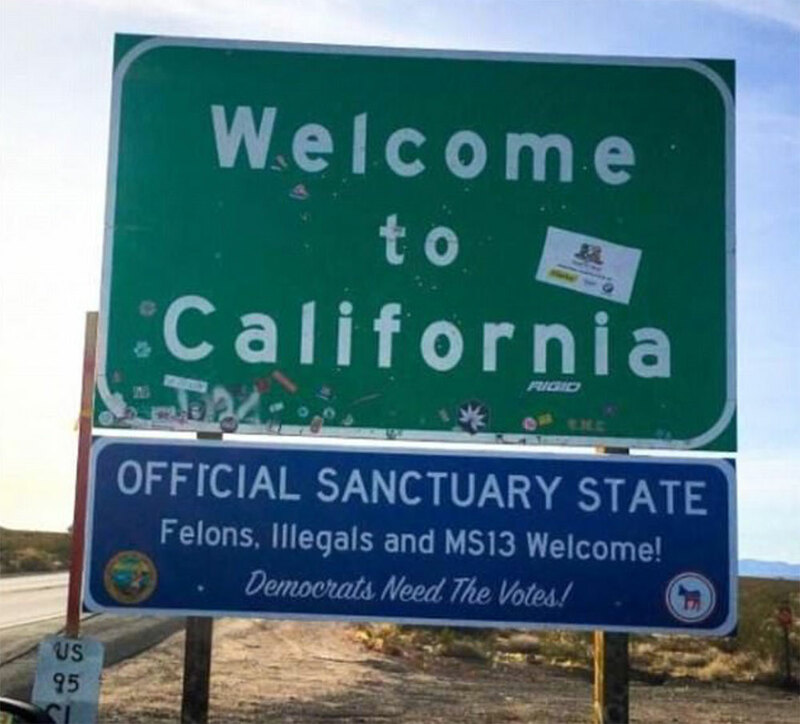 California officially became a sanctuary state on January 1, 2018, making it a violation of state law for local law enforcement officials to cooperate with federal immigration officials. 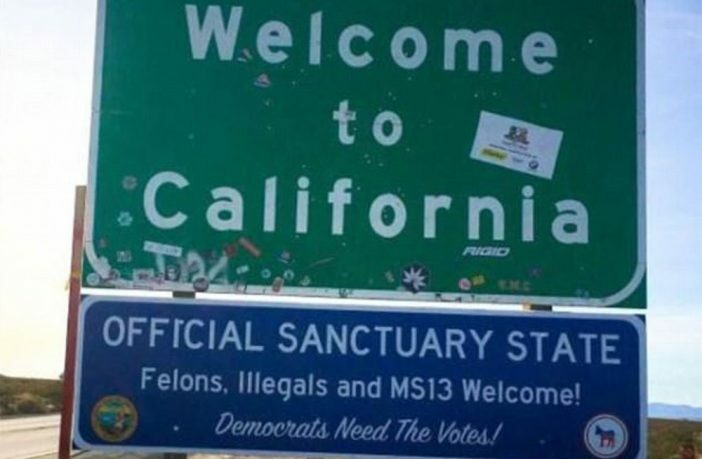 Sure to not miss an opportunity, a local prankster quickly posted fake California highway signs, welcoming travelers to the sanctuary state of California, adding “felons, illegal and MS-13 Welcome!” California joins Illinois, Oregon, Vermont and Connecticut in the list of states that have officially adopted sanctuary policies. The sign, not unlike one previously posted in Malibu, when the tony seaside community of the stars and multi-millionaires passed a similar ordinance earlier this year, was quick to gain national attention. Both signs underscore the lunacy of sanctuary policies, which are not only a clear violation of federal law but endanger the lives of innocent Americans. According to Immigration and Customs Enforcement Director Thomas Homan, nearly 10,000 criminal aliens who have been released back onto the streets due to sanctuary policies have recommitted crimes. 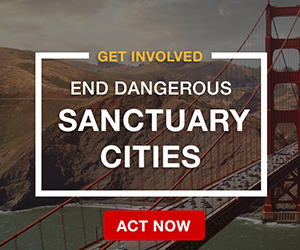 Despite a promise by the Department of Justice to “claw back” funds from sanctuary communities, the number of sanctuary cities across the country has increased dramatically since President Trump’s election, from roughly 300 to more than 500 today. 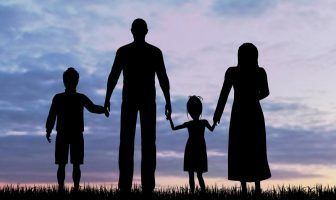 Thankfully, there are states that have also passed legislation outlawing sanctuary policies, including Texas, Mississippi, Indiana, Oklahoma, Tennessee, Georgia and North Carolina. Previous ArticleDeterrence Works, Now Stop It! Stop the Federal Funding till they comply. Brown and the rest could care less about protecting their Legal citizen’s, just need the illegal votes to keep their lawlessness continuing. 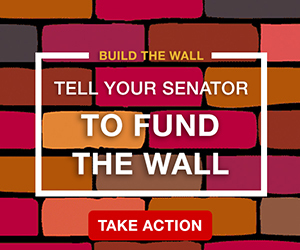 Stop the Federal Funding for a month. That might give them another tune to hum. They themselves are harboring fugitives. The Reps need to be Busted ! Obama & Soros are still pushing their agenda. To create havoc and a civil war. Proof-reading is a very important and much overlooked skill. I thought we settled this at Appomattox. Didn’t Obama sue Arizona for taking action in the field of immigration? How is it against federal law for a state to enforce federal immigration laws, but permissible for a state to take a position refusing to cooperate with the enforcement of federal immigration laws? This is going to continue as long as the American people are willing to defer to Marxists bent on using our own institutions to dissolve the united States. Federal law supercedes ALL State laws where a conflict exists. Immigration is under Federal law (Constitutionally) and therefor no State can pass a law in contradiction to it. Which is why the “Sanctuary” States and Cities are in violation. 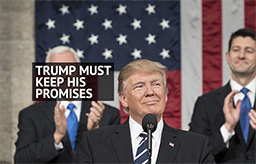 Federal government should cut off ALL funding to ANY State which has taken the position of hindering the proper functioning of the Federal government’s lawful actions against illegal aliens. And they should continue holding it back until the Supreme Court rules the state and city policies for what they are- unconstitutional. I saw this story on the news and was reading some posts online from people who were attacking the signs, implying they were untrue. But what is untrue about them? Haven’t Jerry Brown, Pelosi, Boxer, Kamala Harris and all the rest of the California Democratic establishment LITERALLY said that illegals are welcome there? Haven’t they made them eligible for all sorts of welfare programs? Don’t they fight every attempt to deport illegals, even criminals? We had Hillary promising not to deport anyone who hadn’t committed a “violent felony”. Her supporters will deny and deny that this is not the equivalent of open borders, but what else is it? The effect is just the same. Just don’t commit a serious violent crime and you won’t be removed. 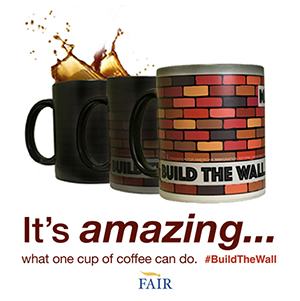 It’s like La Raza, which for years has given lip service to the concept that we have a right to “protect our borders”, but without exception fights every single effort at enforcement of our laws. Immigration advocates are lying or delusional or a combination of both. Ask an environmentalist if immigration should be cut because population growth, spurred by immigration, is our biggest environmental threat and they won’t agree. Never mind that Gaylord Nelson, the liberal Senator who created Earth Day, said that the two issues went hand in hand and could not be separated. And then we have the lying politicians like Chuck Schumer and Ted Kennedy, who promised that “never again” would another amnesty be proposed after the 1986 program was passed. And how many have been passed or proposed since then?